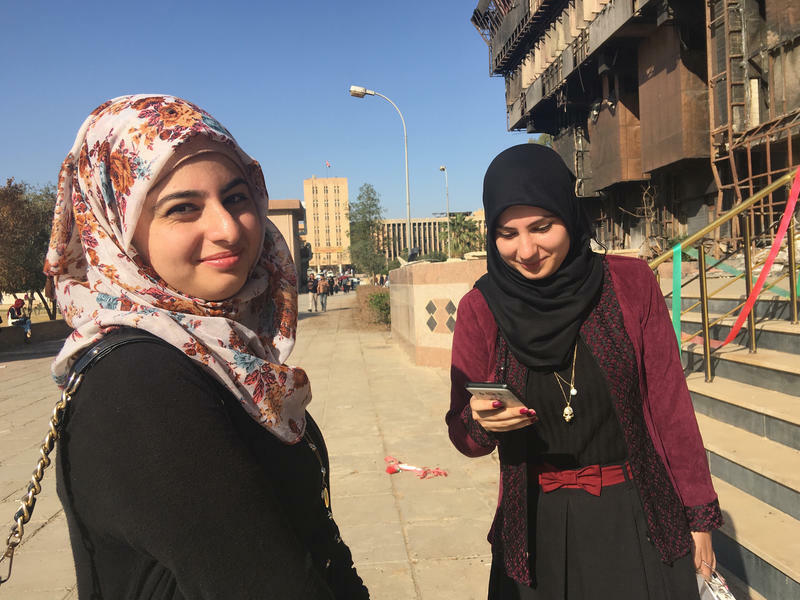 Before she went to New York last fall to speak to thousands of people, Najla Hussin had never been more than a few hundred miles from her village in northern Iraq. 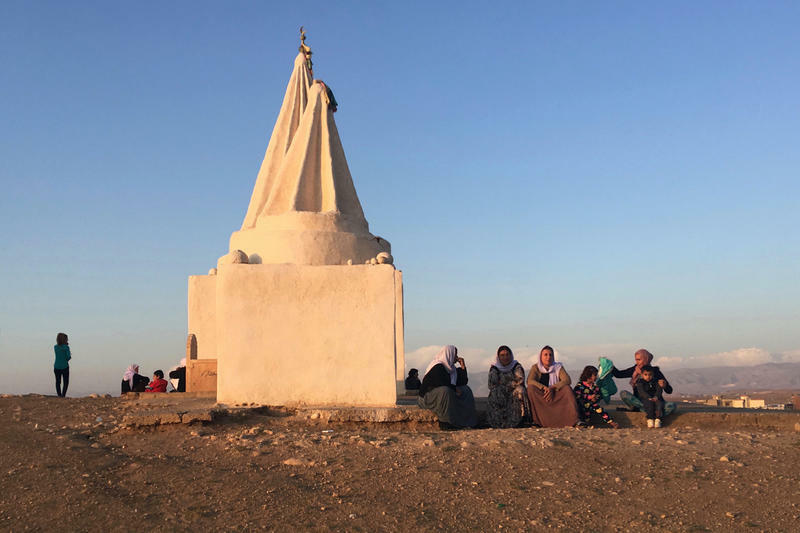 Hussin, 20, is from Sinjar in northern Iraq, where ISIS swept in four years ago to kill and enslave members of the ancient Yazidi religious minority. 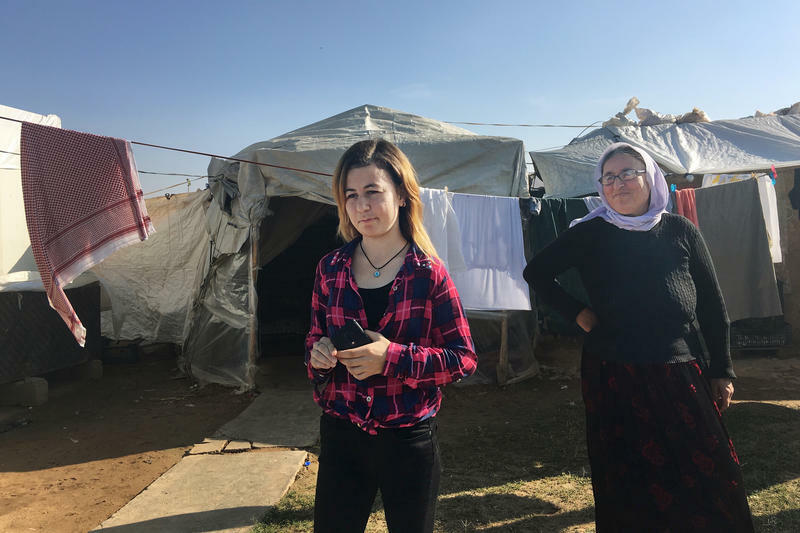 Malala Yousafzai, the Pakistani activist for girls' education, met Hussin and other young Yazidi women during a trip last summer to the Kurdistan region of Iraq. She invited Hussin to speak on the sidelines of the U.N. General Assembly. Abdullah Shrim's phone almost never stops ringing. 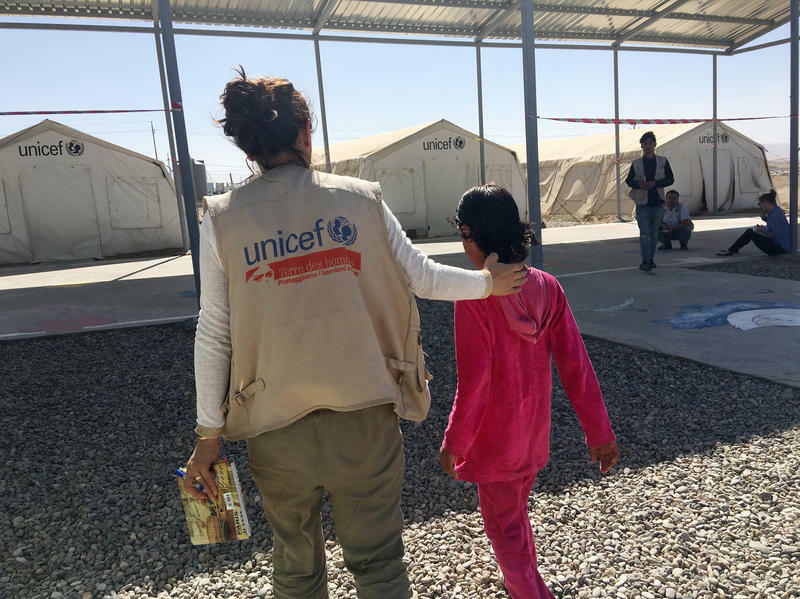 Most of the calls and messages are from other Yazidis asking for help to find their relatives. Others are from people threatening to kill him. Shrim, a gregarious man with a ready smile, so far has rescued 338 members of the Yazidi religious group held captive by ISIS — almost all of them from Syria. It's a long way from his background as a beekeeper and businessman. Farah Khaled stands in front of the scorched and twisted steel beams of the destroyed Mosul University library. Red and green ribbons stand out against the blackened metal — remnants of a book drive Khaled and other students organized. "Their aim was to destroy our culture," Khaled, 22, says about ISIS. "To destroy every ancient thing, every beautiful thing." But they didn't destroy Khaled, who is irrepressible. Hammoudi laughs and gurgles as a cooing caregiver picks him up from a crib. It's clear from the attention he is getting that he's the darling of the orphanage. The 7-month-old baby is dressed in a white jumpsuit. One sleeve hangs empty where he is missing an arm. 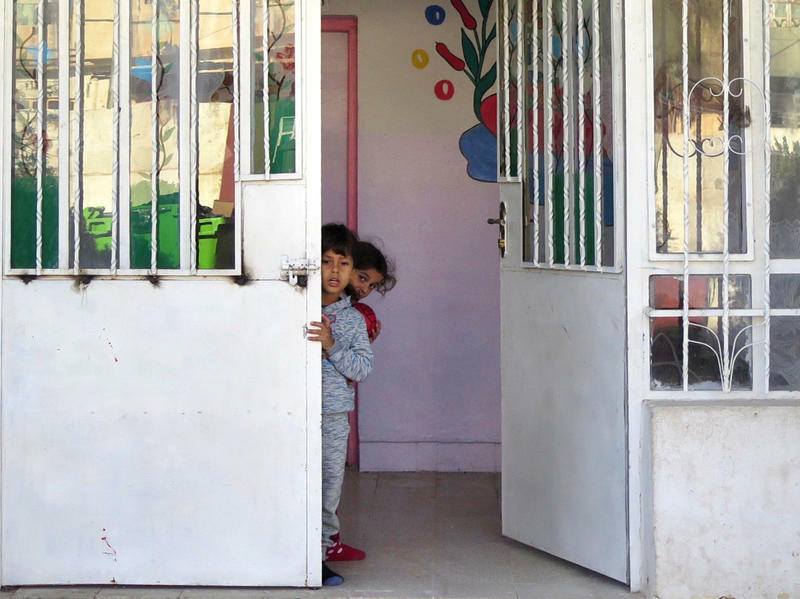 Sukaina Ali Younis, the founder of this Mosul, Iraq, orphanage, describes what happened to him as one of the "biggest crimes of ISIS." "ISIS left him on the ground as bait to lure Iraqi soldiers," she says. "Three soldiers went to rescue the child and a sniper shot and killed them all." At the main cemetery on the west side of Mosul, Iraq, kids play among the makeshift headstones sticking out of freshly dug mounds of red earth. Some of the markers are broken slabs of concrete painted with the names of the neighborhoods where the bodies were found. "Boy and girl" reads one from the Zinjali district. In other places, a single headstone gives no indication of the multiple bodies buried underneath. But the gravediggers remember everything. Iraq is celebrating the defeat of ISIS. Prime Minister Haider al-Abadi over the weekend declared December 10 the country's newest national holiday. He presided over a huge military parade in Baghdad with troops and tanks. 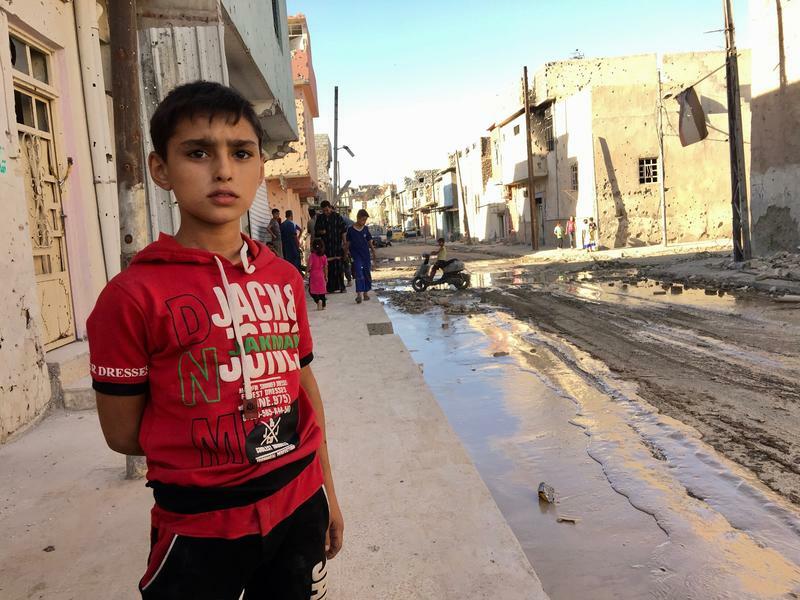 Ammar is standing near a crowded bridge in Mosul, shivering in the sunlight. He's a thin 16-year-old with haunted eyes. But he's not worried about himself. He says he has come to try to find help for his sister. She's nine, and the ISIS attack that killed their parents as they tried to flee Mosul in June left her paralyzed. "We were walking and they were firing from a building," Ammar says. 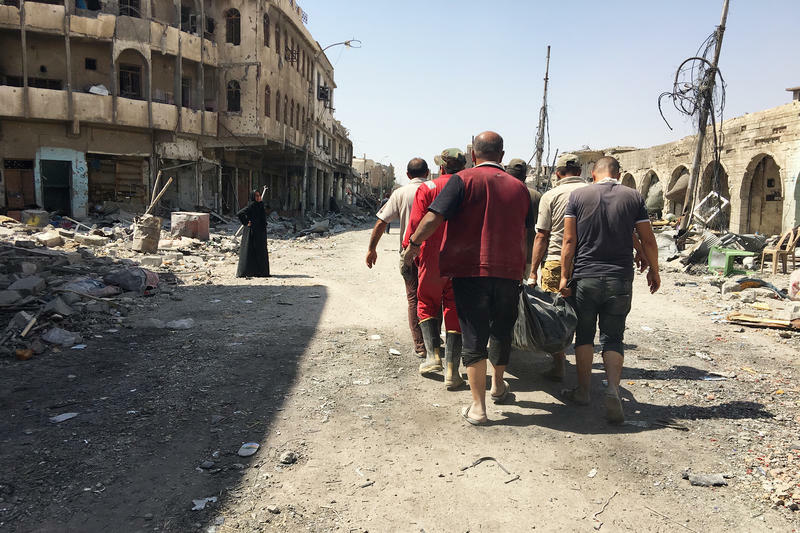 ISIS wanted to stop the civilians they used as human shields from leaving. There was a wall a few hundred yards away. In Iraq, authorities are trying to deal with one of the complicated legacies of ISIS. With many fighters dead or in prison, it's unclear what should happen to their wives and children, many of them citizens of other countries. 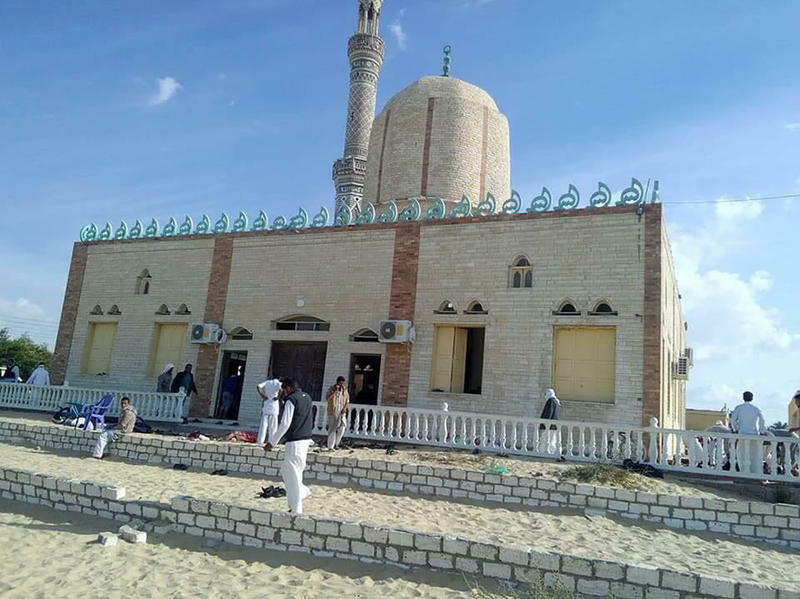 A terrorist attack that targeted a mosque in Egypt's Sinai Peninsula has left at least 305 people dead and more than 120 wounded Friday, according to the public prosecutor's office. The death toll makes it the deadliest attack in the country's recent history. At least 27 of those killed were children, according to the prosecutor's office. At least 235 people have been killed in an attack on a mosque in Egypt's northern Sinai region. The Egyptian government has declared three days of mourning. 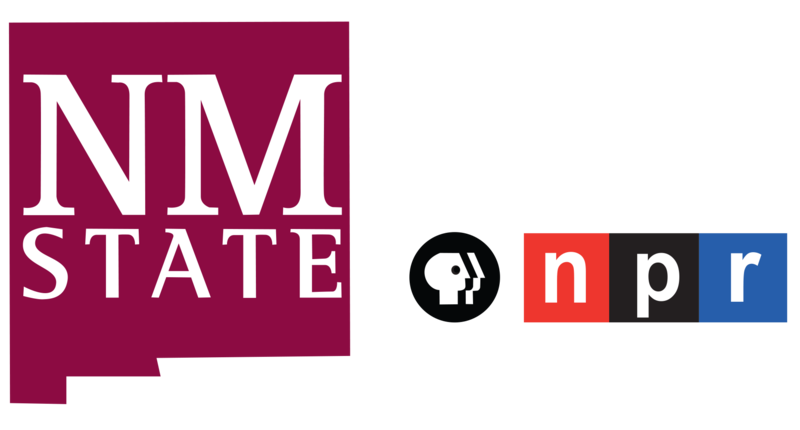 NPR's Jane Arraf covers Egypt, and she joins us now. Hi, Jane. JANE ARRAF, BYLINE: Hi, Noel. There's a light rain falling in the hills around Masoud Barzani's palace north of Irbil. 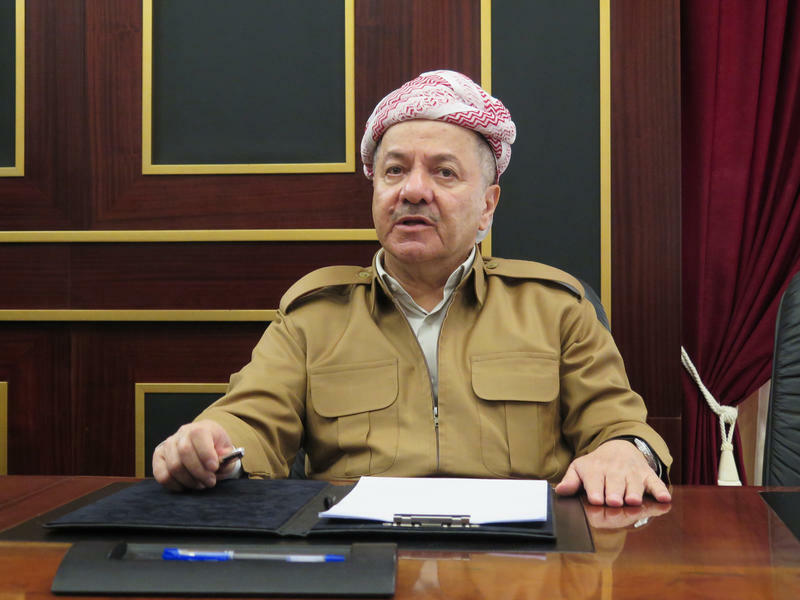 Last week, Barzani stepped down as president of the semi-autonomous Kurdistan regional government in northern Iraq, a position he's held for 12 years. But the building, with its soaring staircases and footsteps of staff echoing through vast marble hallways, is still distinctly presidential. Mustafa Ahmed Abed has a few words of English left from his time as a young child in the United States. 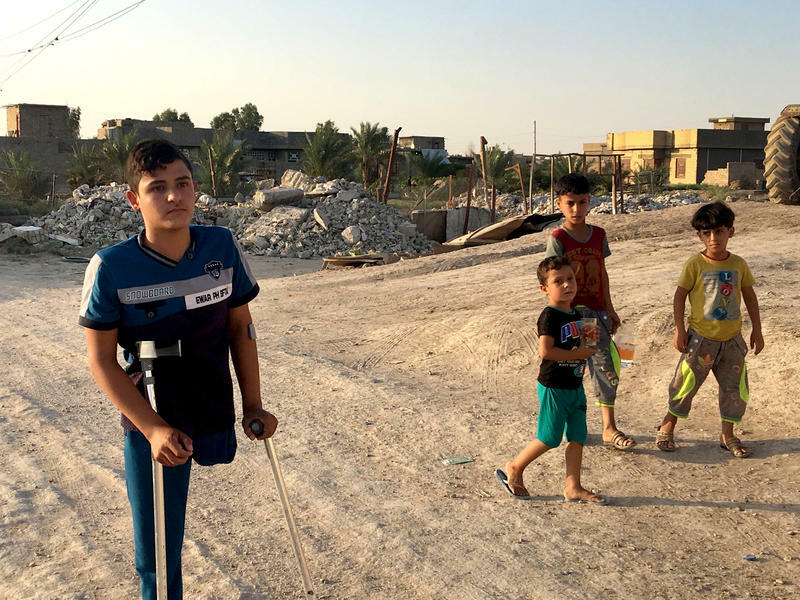 These days, he doesn't have anyone to practice them with, so he repeats words to himself over and over as he walks home from school in Fallujah. With one leg, the journey on crutches takes him an hour. 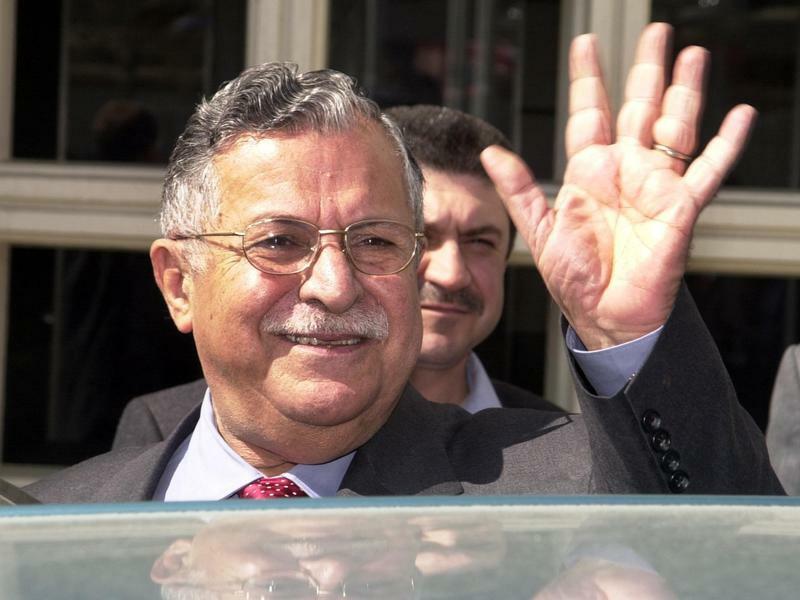 In fractured, postwar Iraq, Jalal Talabani — who died Tuesday in a German hospital at age 83 — had the ability to solve some of the country's most serious problems over lunch. As a skilled politician with a history of inclusiveness and a reservoir of charm, when he invited leaders from feuding factions, they came and they talked to each other. Not because he was president, but because he was "Mam Jalal" — the Kurdish moniker meaning "uncle" that was given to him as a boy. Iraqi Kurdish leaders plan to hold a controversial independence referendum on Monday. 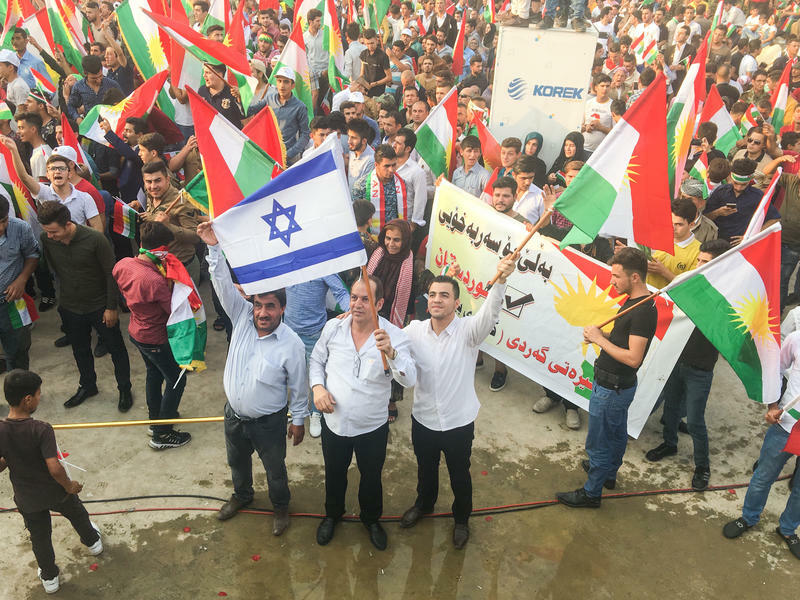 Kurds are expected to overwhelmingly vote in favor of separating from Iraq. The United States and other allies have warned them not to go ahead. Who and where are the Kurds? An estimated 30 million Kurds live in territory overlapping northern Iraq, Turkey, Iran and Syria. They are the fourth-biggest ethnic group in the region after Arabs, Persians and Turks. Nine months after Iraqi forces drove ISIS from eastern Mosul, the east side's main street has come back to life. Wedding convoys decorated with ribbons and flowers honk their horns. Female drivers pull up in front of pastry shops and stalls piled high with fresh fruit. Young men cruise by with car stereos tuned to upbeat music instead of ISIS radio and lectures on Islam. Signs advertise new pool halls and shisha lounges. 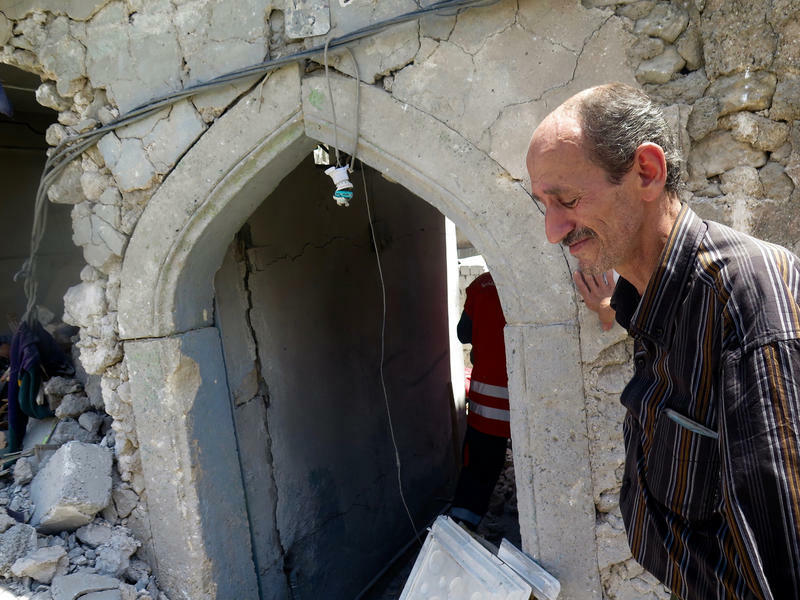 In a sea of loss, Bashar Abdul Jabar is just one among many. The small man in a shirt several sizes too big is standing in the parking lot of the Iraqi civil defense forces base in Mosul, hoping to retrieve the body of his son. To his right is a young man whose entire family — 11 people — was killed. To his left, a man who lost 18 relatives. Nearby, a 4-year-old boy who lost his mother and three brothers clings silently to his father's leg. On Egypt's Mediterranean coast, August should be prime tourist season. But the seaside restaurants in Alexandria are almost empty. Worries over security are keeping a lot of foreign tourists away. 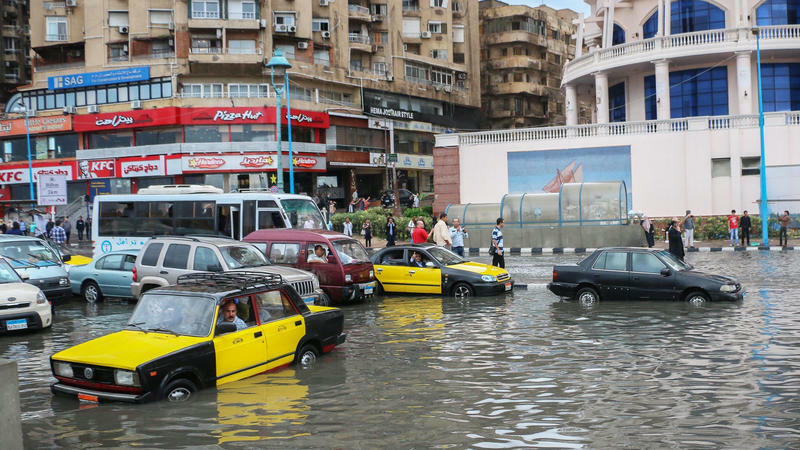 But there's a much bigger worry looming: that hotter weather and a disappearing shoreline could make Egypt's prospects even worse. Scientists generally agree that human-made climate change – the effect of greenhouse gas emissions from things like cars and factories – is making the sea level higher and its waters warmer.